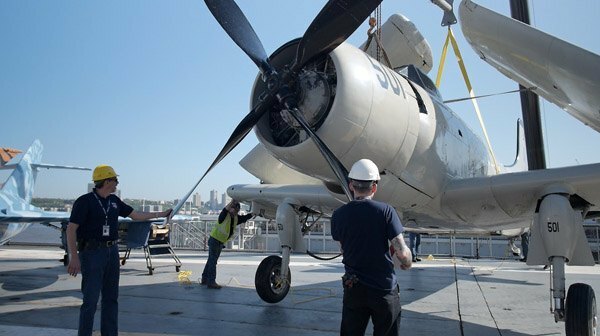 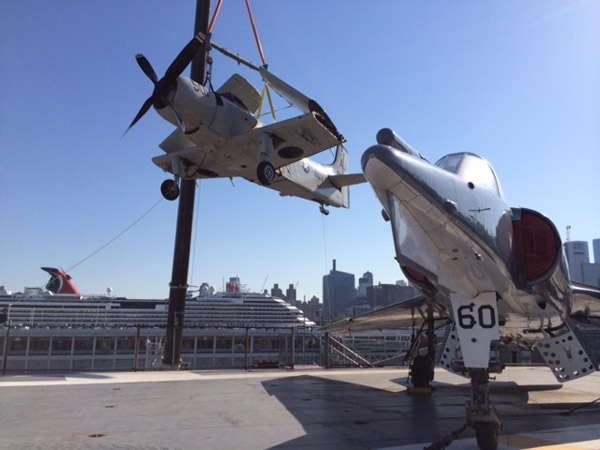 New York, NY (May 20, 2013) – To help mark the kickoff to Fleet Week New York, a new historic aircraft, the Douglas A-1 Skyraider, was lifted by crane and moved onto the flight deck of the Intrepid Sea, Air & Space Museum this morning. 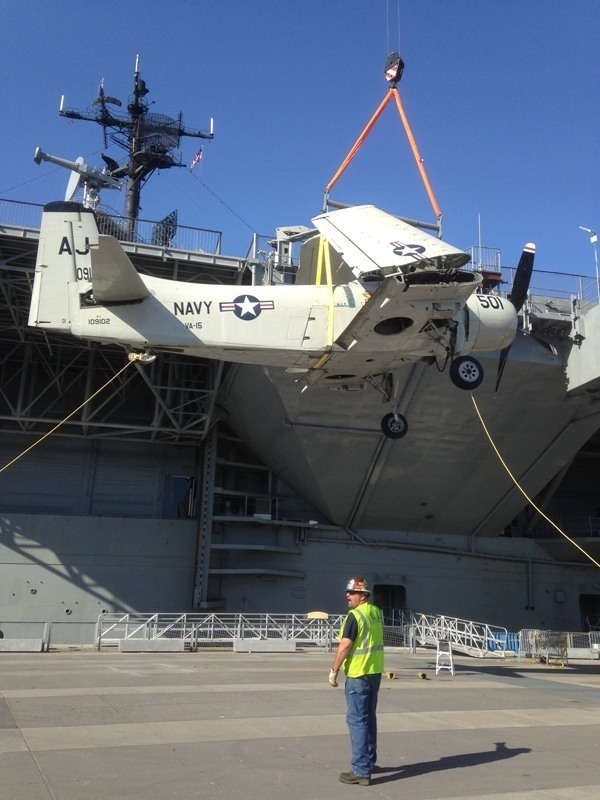 The new aircraft is a prototype of the famous A-1 Skyraider series of attack bombers. 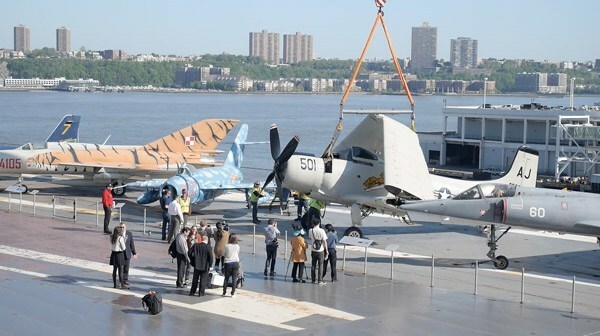 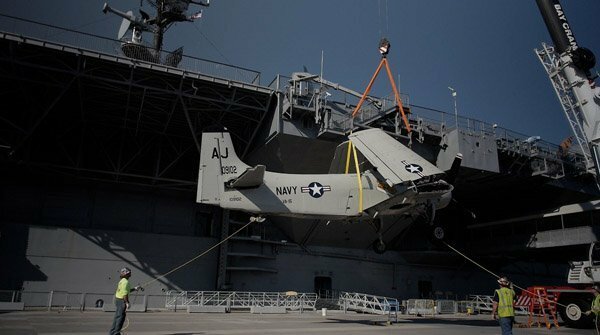 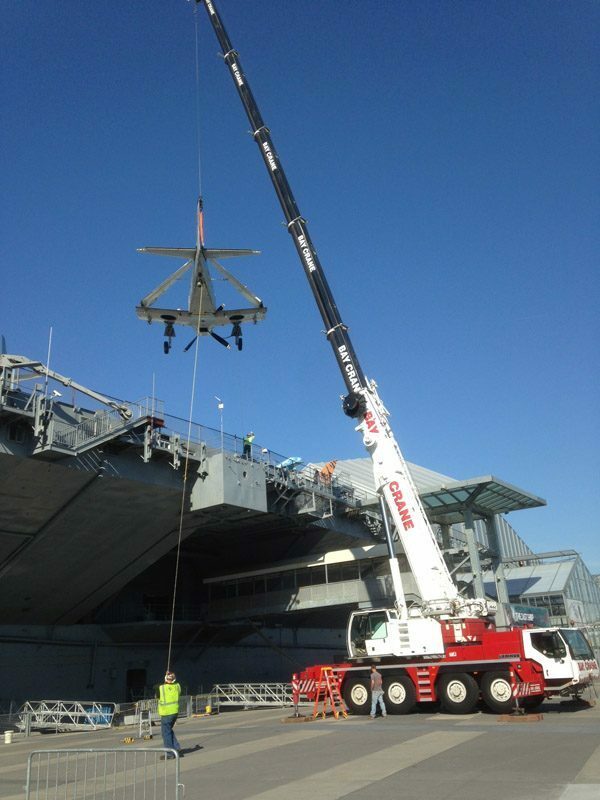 This particular airplane is called the XBT2D-1 Dauntless II, and was transported by truck in pieces from the Naval Air Station Oceana in Virginia to the Intrepid Museum, where it has spent the past week being reassembled on the pier. 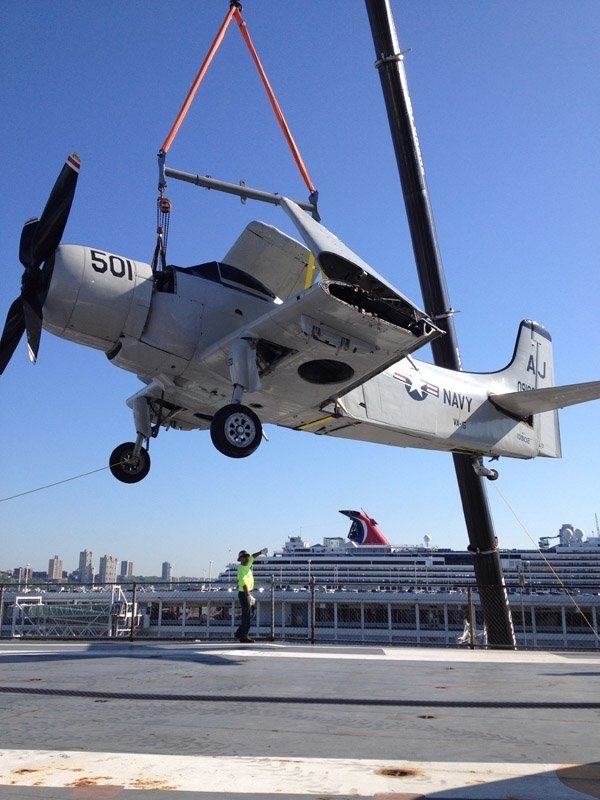 It is the oldest surviving Skyraider in existence.